Includes adjustable padded space with a moveable Velcro divider for protection of two test tools, such as a digital multimeter and a current probe. Durable polyester 600D case construction for long life. 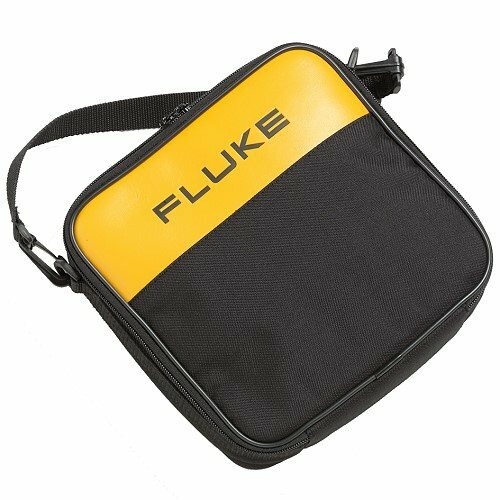 Compatible with Fluke 20, 70, 11X, 87V, 170 Series digital multimeters and other similar format test tools. Absorbs shocks and protects the meter from rough handling. Built-in stand and hanger-loop allow meter positioning. Molded hanger-loop can also function as stationary probe holder, allowing one-handed operation and contact of test points.